Hot on the heels of its announcement that people are now watching over a billion hours of content on YouTube every single day, the company just teased some even more exciting info: it's launching its very own subscription streaming TV service, making dozens of major network and cable channels available via a dedicated app for $35 per month. YouTube TV, as it's called, will go live in the US at some point in the next few months, providing would-be cord-cutters with yet another option to watch their favorite programming live without shelling out traditional cable subscription prices. 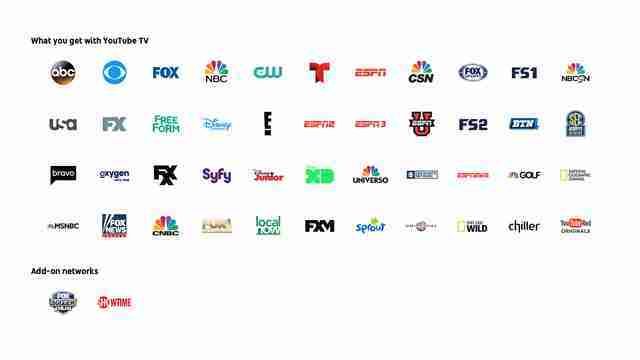 Unlike similar pre-existing streaming TV services like DirecTV Now, Sling, or Playstation Vue, YouTube TV doesn't offer tiered subscription rates. 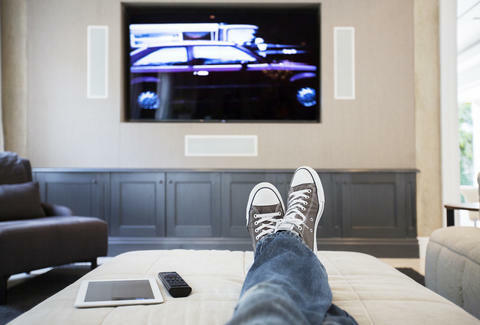 Instead, there's just one $35 per month package available, which includes the four major networks FOX, ABC, NBC, and CBS, plus 35 additional popular cable channels. You'll also have the option to add Showtime or FOX Soccer Plus for an extra fee per month. Other perks include unlimited cloud storage space to record things DVR-style (you'll be able to record as many programs simultaneously as you want), and six account logins, each of which comes with its own personal DVR with unlimited storage (though only three accounts will be able to stream content simultaneously at any given time). Of course, like the existing live streaming services, YouTube's has a few drawbacks. It's priced to compete with the others' entry-level subscription tiers, but doesn't offer nearly the breadth of channels some of them do at higher price points. It's also missing some hugely popular basic cable channels (biggies like MTV, Comedy Central, CNN, TBS, TNT, and AMC aren't offered, at least at launch). It's also unclear how compatible its standalone app will be with set-top devices that compete with Google's Chromecast, like Roku, Apple TV, or Amazon Fire TV -- it's possible that the only way to get content from the YouTube TV app to your big screen on those will be to cast it from your mobile device, which would be annoying. In any case, YouTube's attempt to woo consumers away from traditional cable is yet another indication that cord-cutting will soon be the norm, and that cable companies and broadcasters alike are scrambling to figure out how to hang onto the eyeballs they so desperately need. Joe McGauley is a senior writer for Thrillist who gave up on old-school cable long, long ago.